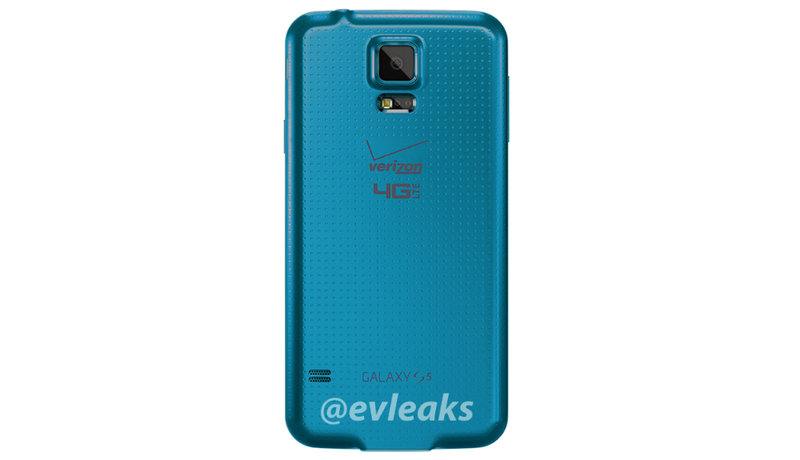 It looks as if another colorway for the Galaxy S5 from Samsung is being prepared to launch on Verizon’s network. Thanks to @evleaks, this is our first look at the blue-hued GS5, sporting a couple of Big Red logos on its backside. If you have not already guessed, this phone will be exactly like the White and Black models that are currently available, with the only difference being the color. You will still have a 5.1″ 1080p display, Snapdragon 801 processor, 2GB of RAM, 16MP rear-facing camera, fingerprint scanner, dedicated heart rate monitor, and Android 4.4 with Sammy’s TouchWiz running on top. No word as to when the device will launch, but if history tells us anything, it’s that the blue variant should launch quite soon on Verizon. Given that this render was probably taken from Verizon’s site somewhere on the backend, then it’s likely Verizon will announce it soon. Does the color make the GS5 in Blue a must have? Doubtful, but there is probably someone that really likes it.